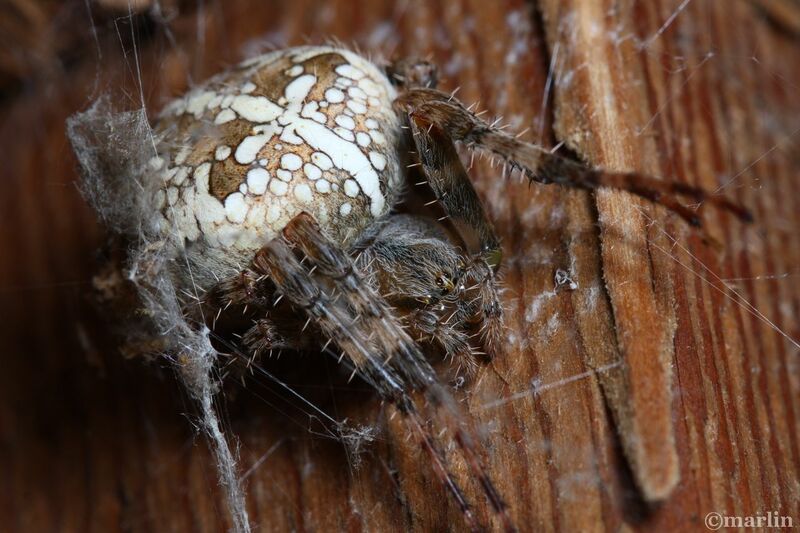 This large female orb weaver was found in a wooden picnic shelter at Wheaton, Illinois. I was able to pull a picnic table over to where she was hiding in the rafters, under the eaves of the structure, and photograph while standing with one leg on the picnic table and one foot on the fence rail 4 feet away. It was tricky, to say the least. 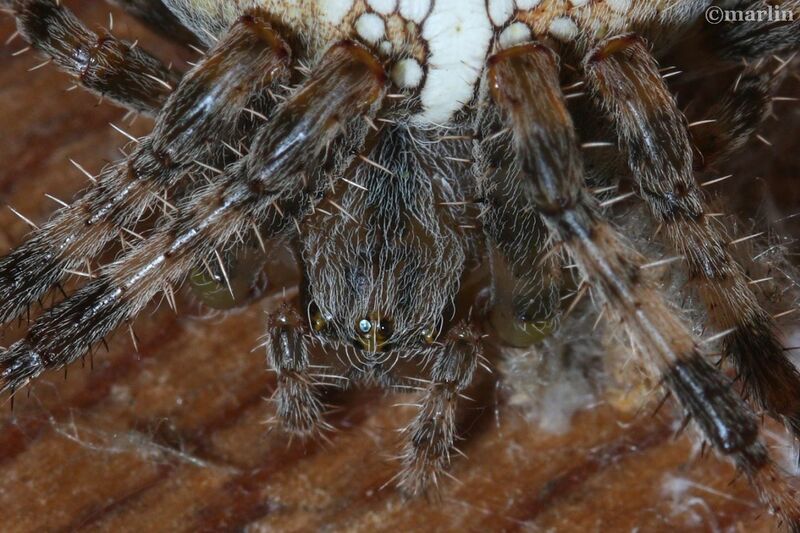 Plus I had to avoid damaging her orb web which was about 1 foot away from her hiding place. I’ll admit I prodded her to get the side shots. Although the air temp. was 80 degrees, she was rather lethargic. The species epithet diadematus refers to a diadem, “A jeweled crown or headband worn as a symbol of sovereignty.” It’s easy to see the resemblance of the abdominal markings to a crown worn by English royalty, or at least royalty adhering to the Christian faith. 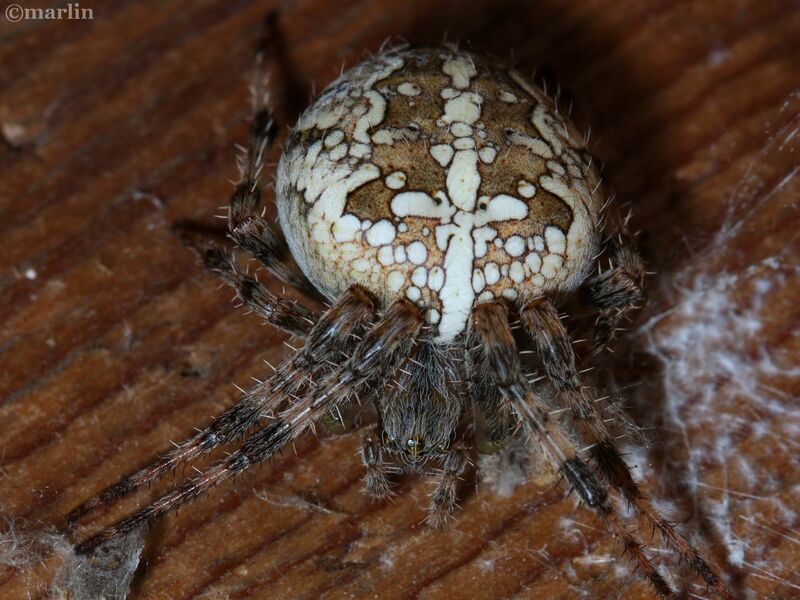 Indeed, the tendency in recent years is to commonly call this spider the “cross” spider, but I prefer the more literal interpretation of the nomenclature. 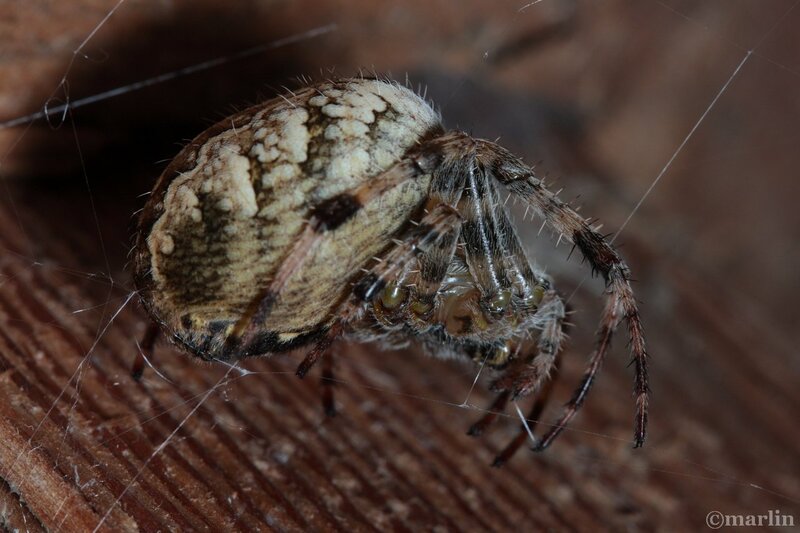 North American Insects & Spiders is dedicated to providing scientific and educational resources for our users through use of macro photographs of flora and fauna in their natural habitat.